We started AE Home Group on the principles of honesty and integrity. As a full-service real estate team we specialize in taking a property from listing preparation to the closing table. With a vast range of experience we guarantee a smooth closing no matter how complicated the transaction. Whether you are buying a home or selling your house, we will work tirelessly to provide a successful transaction that exceeds expectations. 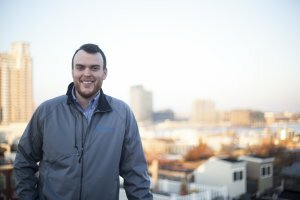 Evan grew up in Towson and graduated from UMBC. After a number of years in private industry he decided to make the leap into real estate with full gusto. Holding both a real estate license and a contracting license (MHIC), Evan embodies a well rounded professional who can get problems solved no matter what area of expertise is required. Evan and his girlfriend Michelle live in Upper Fells in Baltimore with their energetic dog, Mia. Evan is a passionate cook who could have been a Michelin Star chef in another life. Jeff brings his local knowledge and expertise on pricing to the team. As an engineer at heart, his ability to conduct analyze local markets and project trends gives the team a competitive advantage that is unique to AE Home Group. Jeff grew up in Ellicott City where he attended Centannial High School. 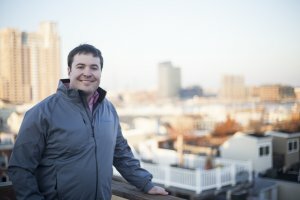 After graduating from UMBC he spent many years as a software engineer at Fort Meade. He currently resides in Columbia, MD with his fiance Megen. They enjoy Indian buffets and traveling to see family in Philadelphia and Williamsburg. If you have any questions about how we work, the process of selling a house, or just want to learn more about us… don’t hesitate to contact us anytime!